Olivia Holt keeps it classic in a navy jumpsuit for the 2018 Disney/ABC International Upfronts held at the Walt Disney Studio Lot on Sunday (May 20) in Burbank, Calif. 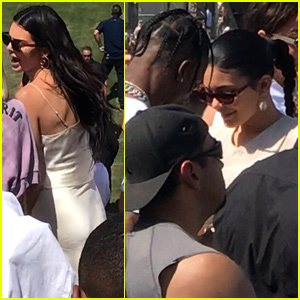 The Marvel’s Cloak and Dagger actress joined co-star Aubrey Joseph for the event, as well as the cast of Marvel’s Runaways – Gregg Sulkin, Lyrica Okano, Allegra Acosta, Ariela Barer, Rhenzy Feliz and Virginia Gardner. If you missed it before, the Cloak & Dagger showrunner had an idea about the two shows crossing over at some point. “I’m a big fan of what Josh [Schwartz] and Stephanie [Savage] did on Runaways and we’re always talking about ‘When do we get to do our crossover?’ There’s probably 400 lawyers in the way… I’m excited for however Cloak & Dagger can play in the universe,” Joe Pokaski shared. Gregg Sulkin is sending so much praise to Hayley Kiyoko and we are loving it! 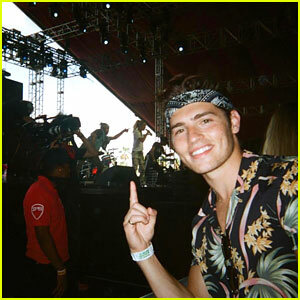 The 25-year-old actor shared a photo from Coachella where he caught the singer’s performance, from the front row. “Years ago I met a human @hayleykiyoko. As time passed, I got to know this lovely human. Not only is she talented, hard working & insanely cool, she is also one of the most down to earth people in the business,” he wrote. “This picture was taken as I watched her front row while she performed at Coachella… and killed it. Hayley, this is a post to simply show and tell the world you are wonderful and I am proud to call you a friend. & side note, always be happy for your friends and their success. Never jealous. Jealousy is an ugly look on anyone,” Gregg added. In case you didn’t know, Hayley and Gregg have both appeared on Wizards of Waverly Place. Alex Roe and Eline Powell step out for POPSUGAR x Freeform’s Mermaid Museum VIP Night held at Goya Studios on Wednesday night (March 21) in Los Angeles. The two stars of Freeform’s upcoming Siren were joined by their cast mates Chad Rook, Curtis Lum, Sibongile Mlambo, Rena Owen, and Ian Verdun at the interactive event. 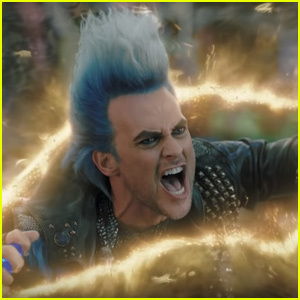 Gregg Sulkin, Ashley Greene and social star/author Jessie Paege (complete with a blue wig!) also came out to celebrate the new series. The Mermaid Museum will be open to the public for four days and on top of featuring a live mermaid, the venue also features a speakeasy-inspired fishing store, numerous photo structures and a 360° underwater immersive experience. You can check the place out from March 22-25th (this weekend!). Siren premieres NEXT WEEK on Freeform. Talk about an amazing reunion! 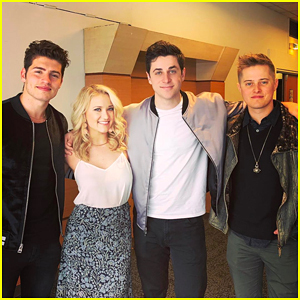 David Henrie, Emily Osment, Lucas Grabeel and Gregg Sulkin all gathered up for a fun pic during the Oh My Teenage Years convention in Paris earlier this month. “Had a blast in Paris with these lovely people! I am in love with Paris :)” David captioned his pic on Instagram. Later on, Lucas participated in possibly the coolest HSM sing-a-long outside his hotel. “Really cool HSM moments keep happening and make me feel warm and gooey inside,” Lucas wrote. Gregg Sulkin is All Smiles at Lunch with Sistine Stallone! Gregg Sulkin jokes around with pal Sistine Stallone as they step out on Wednesday afternoon (January 24) in Beverly Hills, Calif. 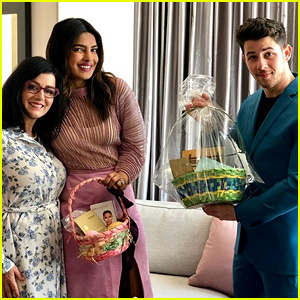 The 25-year-old The Runaways star kept thins cool in a red bomber jacket, black jeans, and sunglasses while the 19-year-old model went pretty in a white floral-printed dress and white sneakers for their lunch outing. Earlier this week, Gregg took to Instagram to share a video of himself showing off his basketball skills! FYI: Gregg wore Krewe sunglasses.